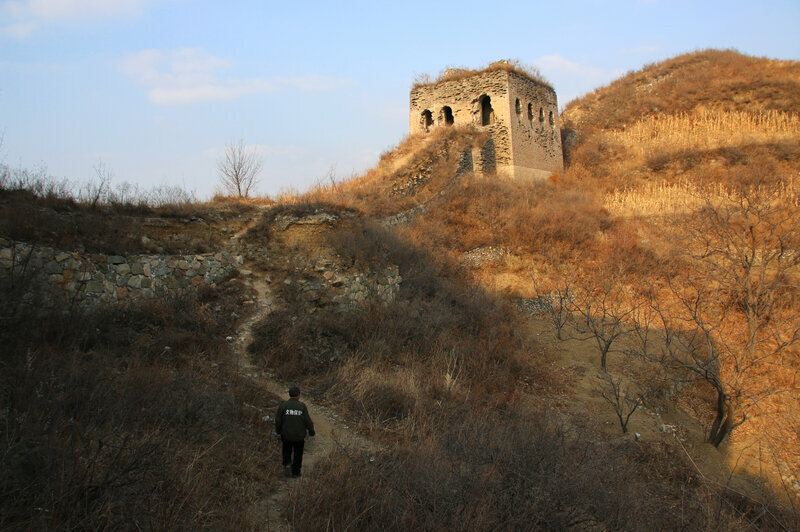 After centuries of neglect, the world&apos;s largest fortification, the Great Wall of China, has a band of modern-day defenders who are drawing up plans to protect and maintain the vast structure. They&apos;re not a minute too soon: Roughly a third of the wall&apos;s 12,000 miles has crumbled to dust, and saving what&apos;s left of it may be the world&apos;s greatest challenge in cultural preservation. During the Ming Dynasty (1368-1644), Jielingkou was a walled garrison for soldiers guarding the wall at a strategic pass. It&apos;s now a simple farming village of some 800 residents. Other sections of the Great Wall were built during the Qin Dynasty (221-206 B.C.) or earlier. Qiao says he&apos;s certainly not doing this for the money — the local government pays him a mostly symbolic sum of $150 a year for his labors. Just recently it also issued him an imitation military jacket that says "antiquities protector" on the back in Chinese — and "U.S. Army" on the front. Qiao says that when he was a child, the wall&apos;s towers and battlements, made of brick more than 400 years ago, were still in excellent condition. "You don&apos;t see these stones anywhere else," he says. "It&apos;s ancient. See that? That piece was taken from the wall." 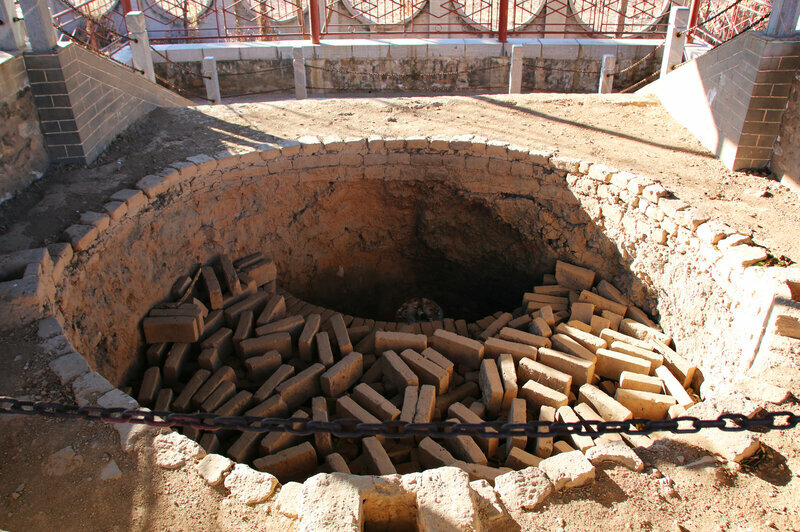 A few years ago, he discovered more than 200 large kilns in which bricks that were used to make the Great Wall were baked. 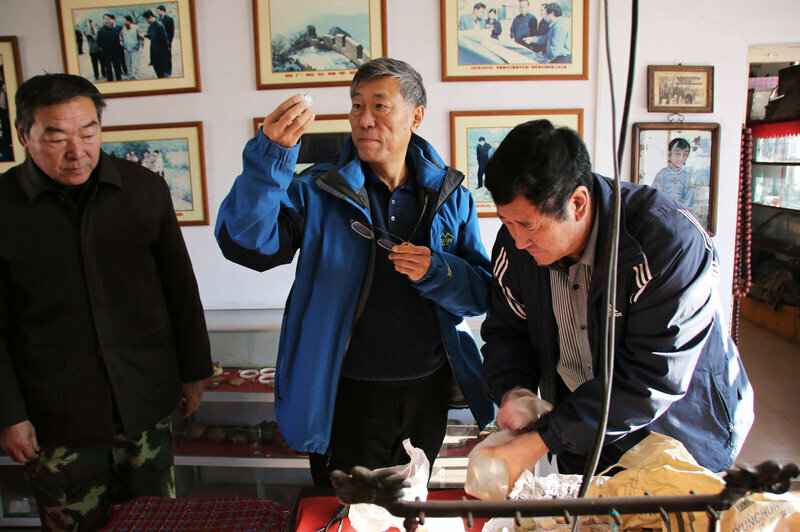 Xu has opened a museum full of Great Wall artifacts he&apos;s discovered. And he&apos;s found something else: a personal connection to the Great Wall. Xu says the tablet confirms what is written in his family&apos;s genealogy: that a 17th century ancestor was an official who helped build this section of the wall. 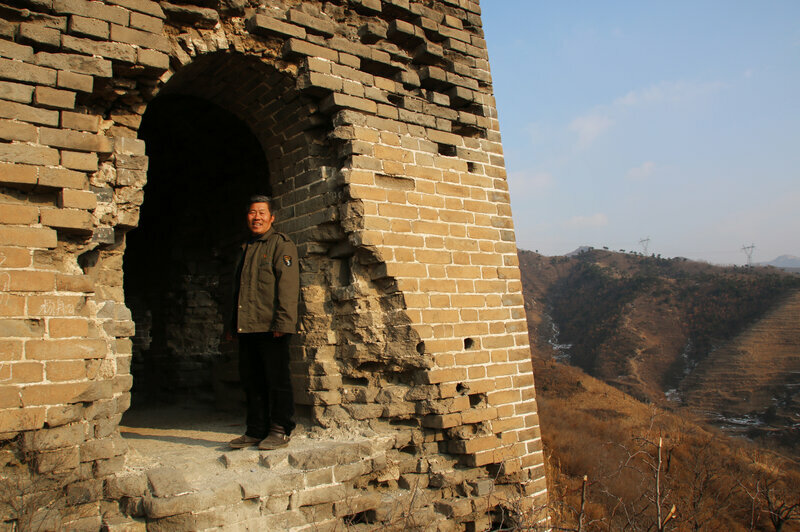 Standing on the Great Wall above Xu&apos;s museum, I talk to Dong Yaohui, vice chairman of a civic group called the China Great Wall Society. 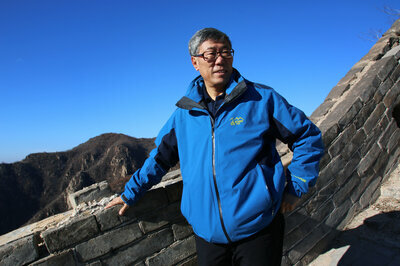 He has just finished a multivolume compendium of local histories of the Great Wall. The section of the wall we&apos;re on is in comparatively good condition, its parapets and towers largely intact. Dong says that roughly 10 percent of the wall is well-preserved. The job of saving what remains of the wall is too big a task for China&apos;s government alone, Dong says. China has enacted regulations to protect the wall, but many local governments are in impoverished areas and can&apos;t pay to maintain it. Dong&apos;s plan is to get companies and individuals to sponsor sections of the wall. Dong recently launched pilot sponsorship programs; the money will be used to pay local communities and governments to patrol and repair the wall. He envisions planting markers along the wall with information about each particular section&apos;s history and sponsors, and is pressing China&apos;s national government to adopt his sponsorship plan nationwide.